BUDK 5-LED Cap Light | BUDK.com - Knives & Swords At The Lowest Prices! 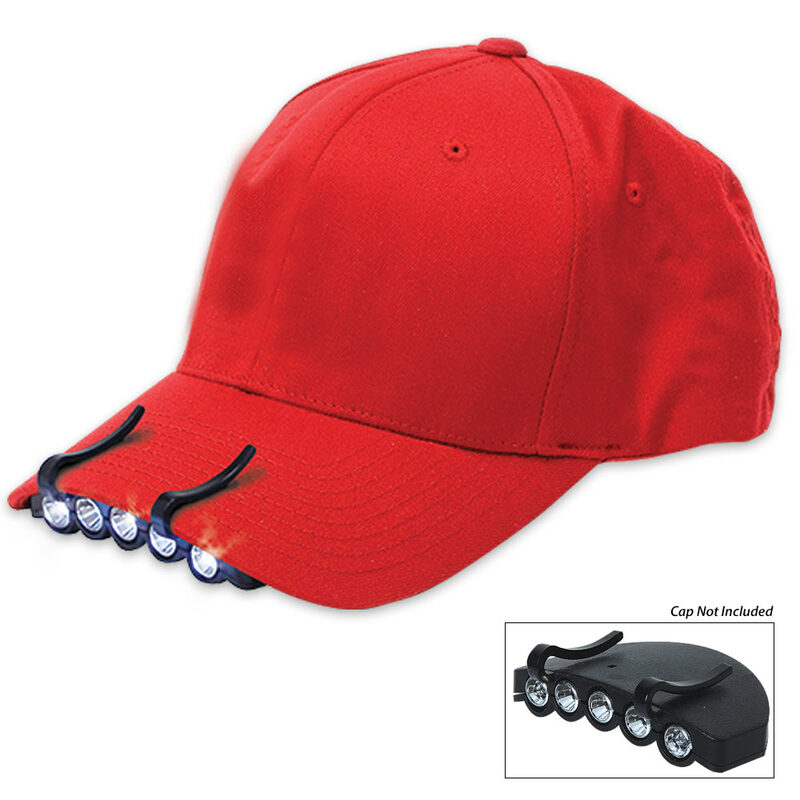 This clip-on cap light is a superb tool for anyone who needs a hands-free, ultrabright light source! It features five LED lights mounted in a lightweight plastic frame that clips to a baseball cap's brim. It's designed to withstand extreme conditions and rugged use; it's water resistant and lasts up to 48 hours. This inexpensive product has plenty of light that is spread out over a nice area. Used it this last weekend for working under the hood of my wife's car. PERFECT! No stupid expensive hanging drop cord lights that never seem to shine where you want them. Buy several and keep them in your shop and cars for when you need quick direct light for any occasion. Bye bye flashlight in the mouth! Everyone laughed when I clipped it to my hat, but the thing works great. I plan on buying an extra for the glove compartment. 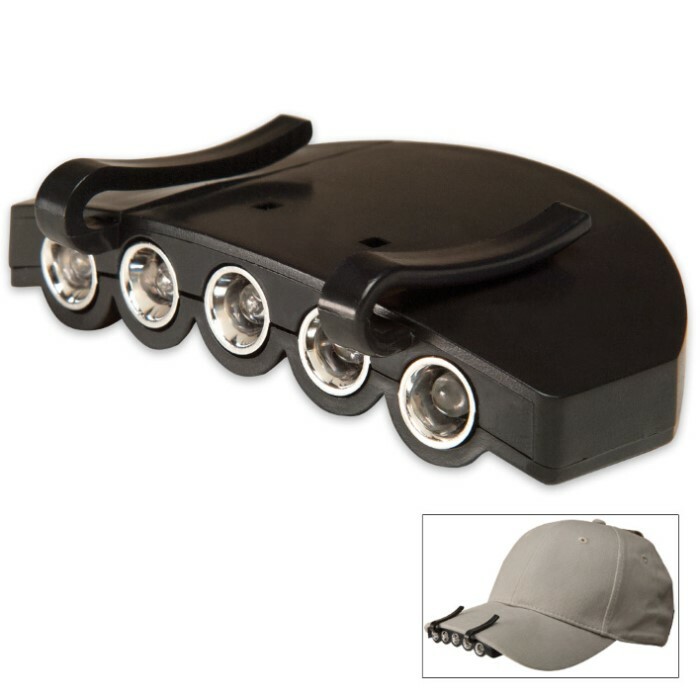 I bought 3 , one for me and one each for my son and daughter in law.These lights are plenty bright enough for my old eyes to see how to get in and out of a hunting stand or blind.I have used other models but this unit seems to work the best. The price is right and they make great Christmas gifts.. 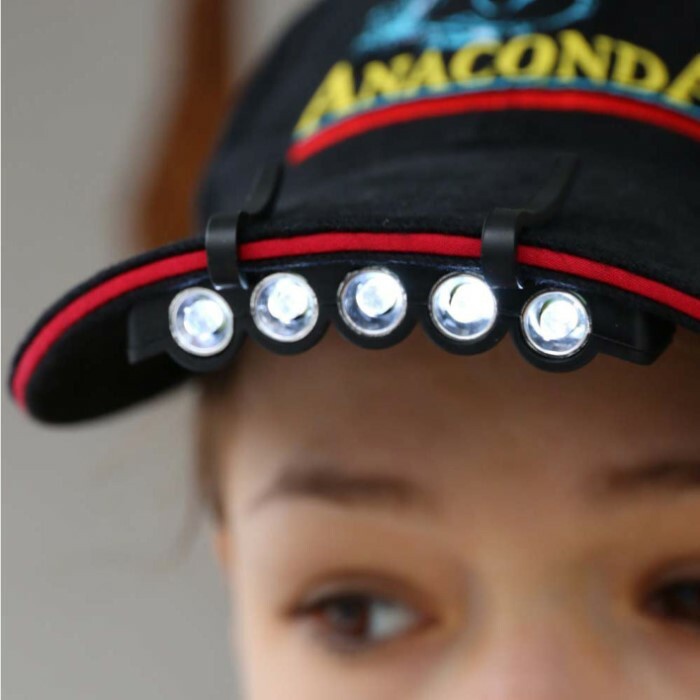 The LED lights are very bright and it provides hands free lighting for working on just about anything after dark! The batteries are available at Harbor Freight for 4 for $1.99 so it is also a very economical light! I bought two of these, and the lights are really bright, but the tabs keep breaking.